Earlier today, Manuel V. Pangilinan, Managing Director of First Pacific Company Limited (“FPC”) (HKEx: 142) and Chairman of Philippine Long Distance Telephone Company (PLDT) (PSE: TEL) today announced the appointment of Ray C Espinosa as Associate Director of FPC and his new assignment as the Group’s Head of Government and Regulatory Affairs and Head of the Communications Bureau, both in the Philippines. Mr Espinosa will also assist the First Pacific Group in respect of new investments in the Philippines and in the region. Accordingly, Mr Espinosa will retire as President and CEO of MediaQuest Holdings Inc (“MediaQuest”) and its related subsidiaries and affiliates, including TV5. MediaQuest serves as the investment vehicle in certain media assets—investments deemed to be key to PLDT’s transformation process, and which need to be harnessed and optimized in order to build on our competitive advantages. His directorships within the Group (i.e., PLDT, Meralco and Metro Pacific Investments Corporation, amongst others) will stay. Mr Espinosa will remain a director of MediaQuest. “Mr Espinosa’s new assignment creates a vacancy at Mediaquest. 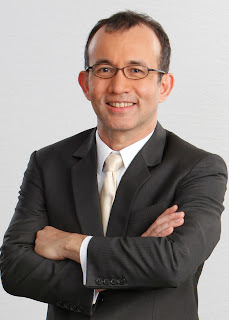 To this end, I am pleased to announce that Noel C. Lorenzana, current Head of the Individual Business for The PLDT Group, has been named President and CEO of Mediaquest. Noel faces a tough job as he takes on the challenge of turning around TV5, while maintaining the growth momentum at Cignal TV towards leadership in the Pay-TV industry. Noel’s background in the telco space and in fast moving consumer goods (FMCG) will be of immense advantage in his ability to bring the worlds of media and telecommunications closer. Our multimedia strategy is crucial to the future of TV5 and of the Group. We extend to, and I assure, Noel our full confidence and unstinting support,” Mr Pangilinan added.